All the candidates who are looking forward to appear in the UPSEE 2019 exam urged hereby to read this article. UPSEE exam is the entrance exam of the AKTU Lucknow which stands for the Uttar Pradesh State Entrance Examination, and is the mandatory gateway exam of the University. The exam is the key of getting admission into the various kinds of the courses, as are offered by the AKTU such as the engineering and the other regular bachelor and master programs. The candidates are alloted the admission into the various colleges of the AKTU on the basis of rank scored by them in this examination. 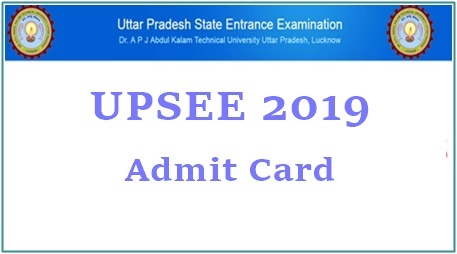 As we know that UPSEE admit card has been officially released by the University on 15th April 2019 and the candidates, who have made their application for this exam can now get their admit cards from the website of the University. There are the majority of the candidates who are struggling in downloading their admit card, and this article has been written specifically for such candidates. Here in this section below we are going to provide you with the step by step guide, which would guide in downloading the admit card very easily. Follow the guide in the same order as has been suggested. Open your Google web browser and there type the official URL of the UPSEE admit card. The official URL of the website is www.upsee.nic.in which will redirect you at the official admit card website. Once you are at the homepage of the website then there you will see the admit card notification and you just need to click on that. After clicking on it you will be redirected to the admit card box and you will be asked for the certain information. Provide all the information regarding the registration of the exam. 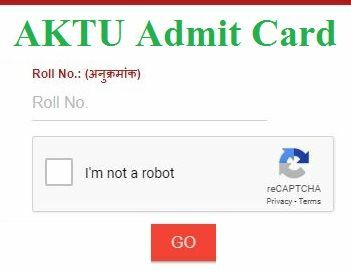 Submit the information and then your admit card would be appearing before you. You can either take the print out of the admit card or download the PDF copy of it. So, this is how the candidates can download their admit card easily on their own. If you still face any issue in downloading this admit card then feel free to approach us. The candidates who have forgotten their registration number or the password of their account will need to reset it by clicking on the forgot password. The official date of the UPSEE admit card availability is 15th April and it can be downloaded by the 21st April 2019. No candidates would be allowed to appear in the examination without the admit card thus you must be having it with you in order to get entered to the examination hall.